Welcome! I am AJ Sanchez. Weekday mornings we have fun on Y101 with “Tell Me Something Good”, my famous “Stupid News”, “Entertainment News” plus games and prizes! I am a valley native who grew up in Parlier, graduated from Fowler High School and, as a formality, has attended every single City College that we have available to us. My heart has always been in radio so when I was given the opportunity to work at a radio station while I was still in high school, I knew that it was meant to be. Fast forward many years later and here I am, still excited, happy, nervous, pumped and over-the-moon about being able to share great music with you. My home life is incredibly busy. I have 3 children. 2 Sons and a Daughter – they are 13, 12 and 8. My amazing Wife is my sanity. Together we have a pit bull, a cat and a gold fish that my oldest son won at a carnival YEARS ago and we were prepared for him to die fast, but he’s still going strong. 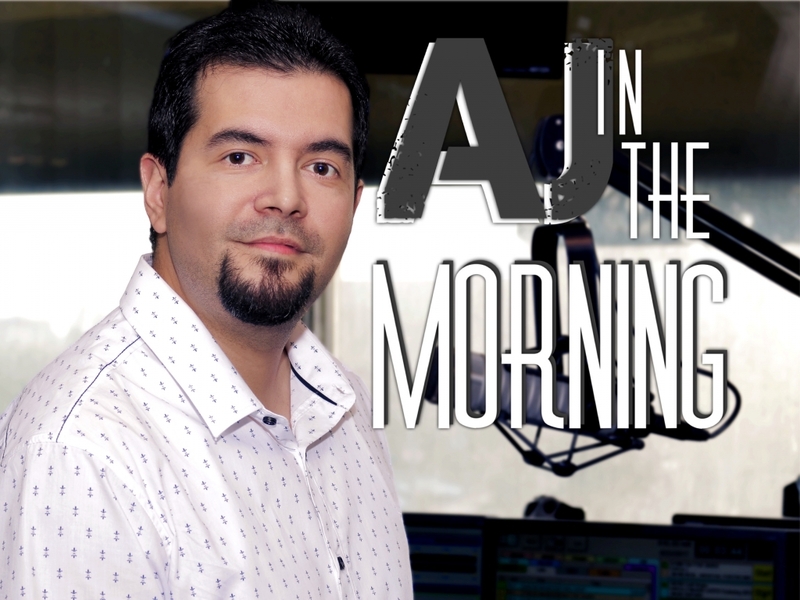 AJinTheMorning’s Famous Stupid News – The only part of the show where intelligence is frowned upon. These are true stories of stupidity from all around the world. If you’re having a bad morning, this will make you feel better because it could be worse! Hear it at 7:20am and 8:35am. Entertainment News – In a couple of minutes you’ll be caught up on the day’s top trending celebrity news. Friday’s we’ll find out what’s going on around town and what new movies are playing in theaters. Tune in at 6:35am, 7:35am and 8:50am. :60 News Update – Give me a minute and I’ll give you all of the top headlines from around our country. No need to spend hours watching the news or reading through endless stories! Don’t miss it at 6:20am. Thanks for taking the time to get to know me. I hope you’ll tune in weekdays from 6am to 10am for a good morning.